"Attacks against houses of worship in the United States have been far too common in recent years," the letter says. The letter cited a spate of attacks by white supremacists on houses of worship in recent years, including the killing of six people at a Sikh temple in Oak Creek, Wisc., in 2012; the murder of nine African Americans as they worshipped at the Emanuel African Methodist Episcopal Church in Charleston, S.C., in 2015; and the slaying of 11 people at the Tree of Life Synagogue in Pittsburgh, Pa., last year. "What we've seen unfortunately over the last few years from federal law enforcement is a dismissiveness of this threat or sometimes even a deflection," says Farhana Khera, the executive director of Muslim Advocates, a civil rights organization and a signer of the letter. "After the horrific attacks in New Zealand last week, we decided that we as faith and civil rights leaders can no longer just stand by," she says. "We need to start demanding action from federal law enforcement officials beginning with the director of the FBI. It's time to prioritize the threat of white nationalism." Following the New Zealand attacks, President Trump was asked if he sees white nationalism as a rising threat around the world. "I don't really," he said. "I think it's a small group of people that have very, very serious problems." But Khera argues this downplaying of white nationalist violence predates President Trump's administration. Khera points out that, when nine African Americans were gunned down in a Charleston, S.C., church in 2015, the killer was a white supremacist who said he wanted to start a race war. Yet then head of the FBI, James Comey, wouldn't call the murders an act of terrorism. That attitude has only deepened, Khera says, under the current administration. 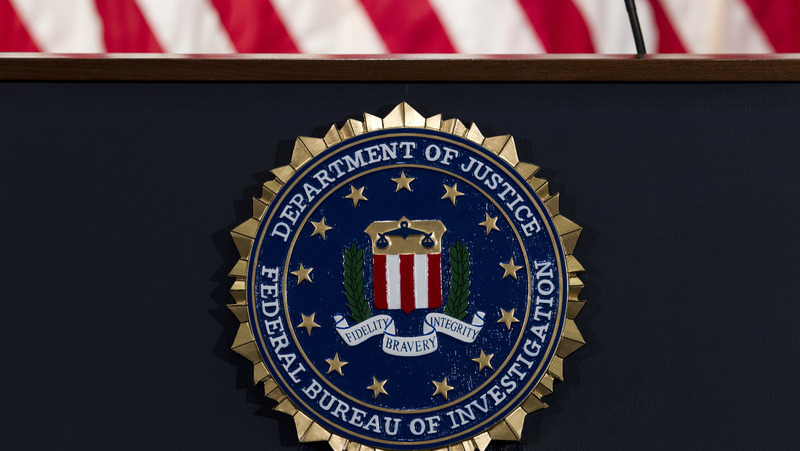 A report from the Brennan Center for Justice points out that, although counterterrorism was ranked a top priority for the FBI after the Sept. 11 terrorist attacks, the Justice Department Inspector General's audit in 2010 showed only about ten percent of resources focus on domestic terrorism. Meanwhile, right-wing extremists represent a disproportionate threat of violence, according to the Anti-Defamation League. Its report says that all but one of the 50 killings in the United States motivated by extremist ideology in 2018 were committed by people with some kind of link to right-wing extremism. One was linked to Islamic extremism. "It is my fervent hope that director Wray will agree to our request," Khera, the head of Muslim Advocates says. "He is the the chief law enforcement officer in our country and...we represent diverse religious, ethnic or racial communities that are being directly targeted and affected by this violence."